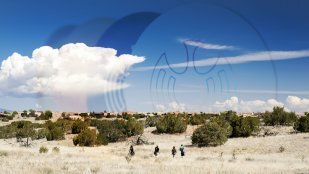 The IAIA Amateur Classic (IAC), sponsored by the IAIA Disc Golf Club, Desert Disc Golf, Infinite Discs, and Innova Champion Discs is a two-round, amateur-only PDGA C-Tier event at the Institute of American Indian Arts (IAIA) Disc Golf Course in Santa Fe, New Mexico on Saturday, April 7, 2018. This unique amateur event provides players with an exceptional tournament experience and includes a players pack for every player, payouts through www.infinitediscs.com, and trophies for division winners. The event is sold out, but spectators are welcome to view the IAIA Disc Golf Amateur Classic 2.0. For more information, please contact IAIA Archivist Ryan Flahive at rflahive@iaia.edu. The purpose of IAIA Disc Golf Course is to offer a fun, healthy, and lifelong recreational opportunity for IAIA and the surrounding region. Disc golf is a component of the college’s health and wellness curriculum and the course exists to enhance our campus facility and offer a unique feature to our community. 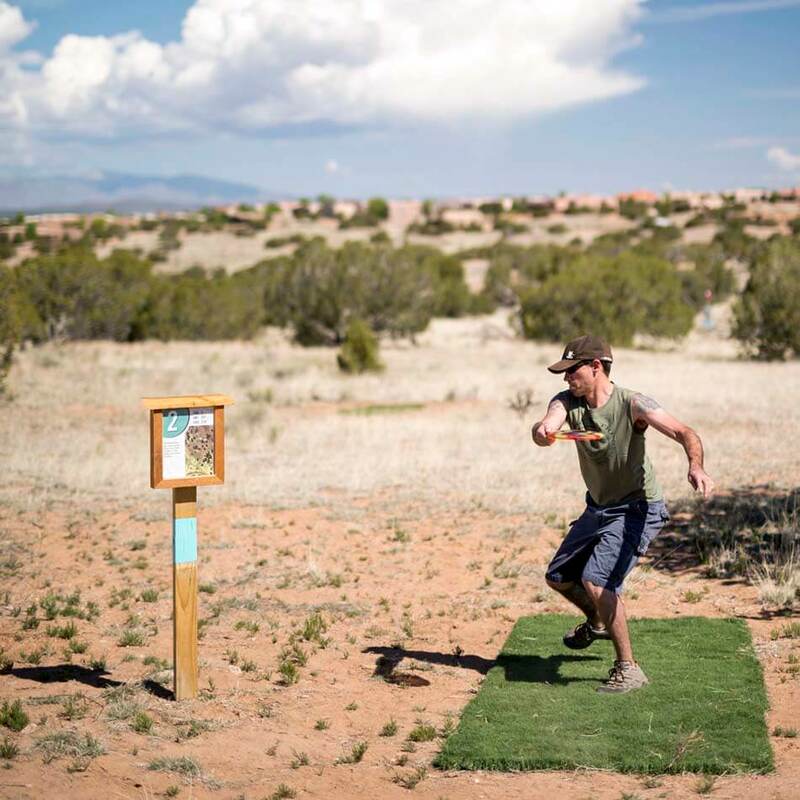 The disc golf course was designed by David McCormack of Gateway Disc Sports and is a prime example of high desert disc golf. It features custom painted Gateway Titan Pro-24 Disc Golf Targets complete with numbered golf flags mounted atop each target as well as custom cedar tee box signs and field turf tee pads.